As I’ve been saying in the past few posts, we’ve been recieving so many nice gifts, it’s been so amazing! Not only have the girls been spoiled, but now I’m receiving endless goodies as well! They are making me feel beautiful! I collaborated with De La Luna and modeled this beautiful timeless necklace! It is the perfect length, especially since I always layer my jewelry! It comes in gold, silver, and rose gold. 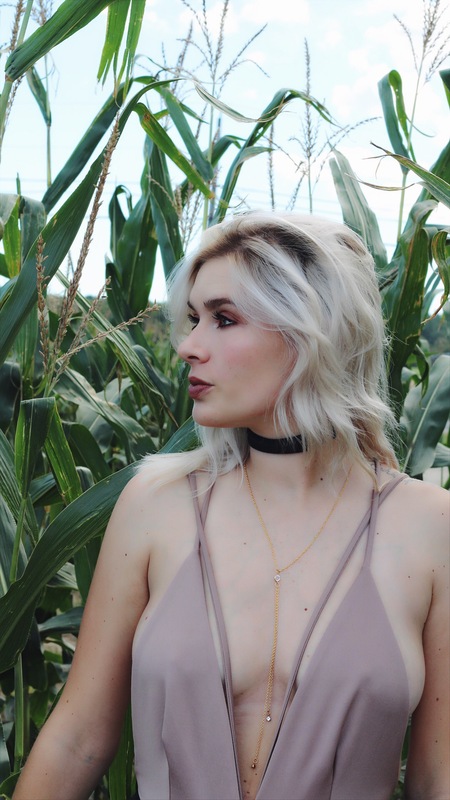 I figured I whip out this body suit before summer is seriously over!